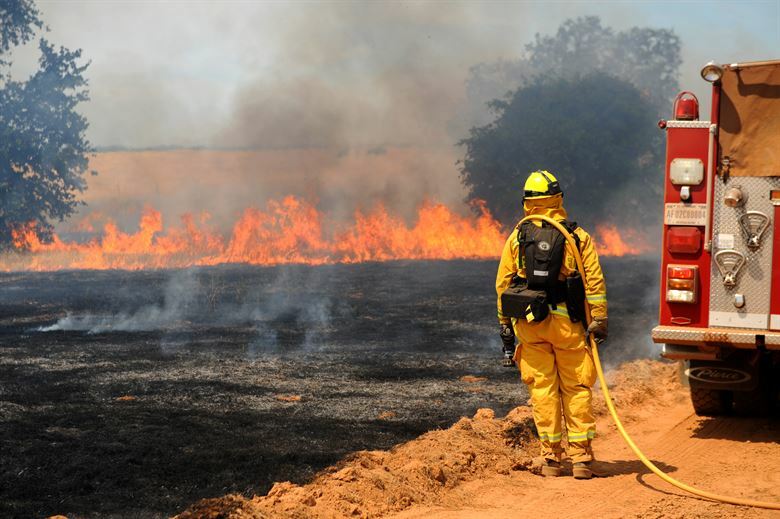 Wildfire is a significant threat to all Californians. While wildfire is necessary for a healthy forest, small communities that live in or next to forested areas are at high risk of uncontrolled wildfire spreading and damaging the economic and social prosperity of residents and locally-based businesses. Most wildfire education campaigns focus on households and neighborhood preparation, yet rarely focus on the ability of businesses to respond to such a disaster. However, small businesses are especially vulnerable as they do not have the capacity or the financial security of larger organizations, corporations or other private enterprises to recover from wildfire. In a 2012 study by the International Economic Development Council of 600 small businesses in the United States, 74% reported having no recovery plan, and 84% had no natural disaster insurance — indicating a stark lapse in disaster readiness. In county seats of rural areas or small communities, the importance of small businesses are directly tied to the overall economic vitality of the community. In smaller communities, resources, products and services are heavily provided by small business owners and therefore represent the backbone of the economy. The insecurity small businesses face from wildfire threat jeopardizes the entire community’s ability to recover after a disaster. While the most immediate threats from a wildfire include structural damage, inventory loss, financial losses and staff displacement, the more sinister of impacts small businesses face are the longer-lasting indirect impacts of road closures, utility outages, lack of access to mental healthcare and emotional trauma support, limited transportation of goods, and the loss of customers located around a disaster area. Preparing for the worst can increase the ability of small businesses and their communities to recover quickly with minimal costs. This addendum to the Business Resilience Toolkit provides action-specific items to implement into small business operations, emphasizing both infrastructural (eg. equipment) and operational recommendations (eg. employee education). The consequences of wildfire touch almost every facet of California’s economy, air quality, and public health. Within the last year, wildfires have risen to become one of the most prevalent threats to California’s immediate future with huge swaths of landscape needing rehabilitation. Historic land management practices mixed with increasing disaster frequency creates a much more unstable and threatening environment for California’s public health, economy and natural resources as we have witnessed with the past series of wildfires in 2017. According to CALFIRE, the combined 2017 total of CALFIRE and USFS land burned by wildfire was 1,248,606 acres, consisting of over 9000 fires. Nearly 9,000 wildfires occurred throughout California in 2017, burning 1.2 million acres of land and recording five of the top 20 most destructive fires in the state’s history. The USFS Region 5 estimates that between six and nine million acres of their land are in need of restoration (SNC; 2017). This would require a two to three times upscaling of current on-the-ground work. The threat of disease, bark beetles, drought, and overcrowded stands results in an increase of high-intensity burns and increased frequency of such burns, leading to additional problems including forest scarring, sterile soil and greater erosion into the waterways we depend on for drinking water. The effects of all these are only magnified by increasing temperatures which make summers drier and winters in the Sierra Nevadas rainier, allowing for the snowpack to shrink and an early snowmelt to increase fuel loads and decrease water availability. Between 2009-2016, we have experienced several of the most extreme natural events in California’s history: severe and prolonged drought, an almost non-existent snowpack in the Sierra, five of the top 20 largest forest fires, and two years in a row of the hottest average temperatures on record. 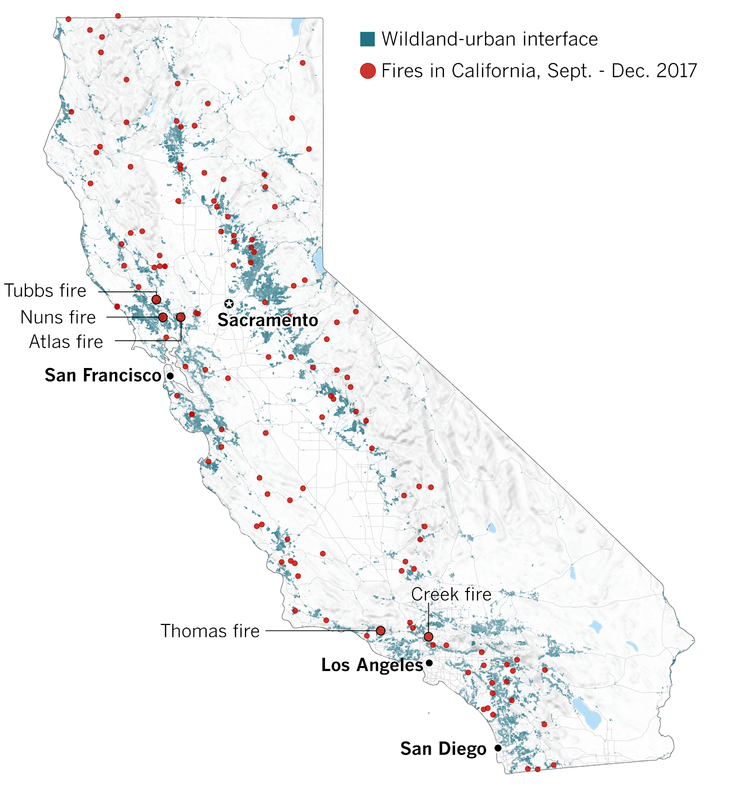 As evident from the October 2017 fires, the Tubbs Fire and the December 2017 Thomas fire, the threat of wildfires spreading to urban infrastructure is increasingly common. 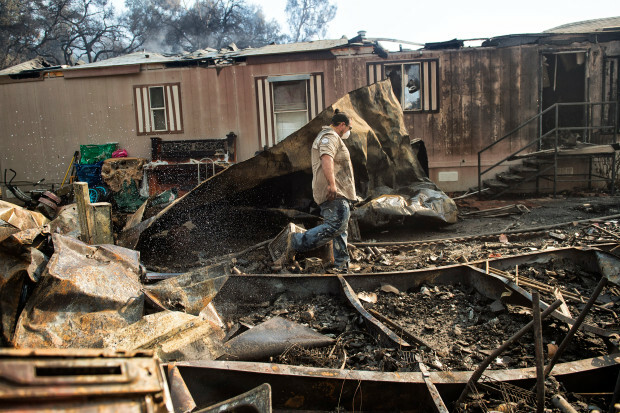 Just since 2014, we’ve seen the Boles Fire, the Valley Fire, the Tubbs Fire and the Thomas Fire devastate communities to a degree far greater than expected. These fires caused losses of 11 commercial building (destroyed or damaged) in the Boles Fire, 73 commercial buildings in the Valley Fire, 750 commercial and ag buildings in the Tubbs Fire and a yet-undetermined number of the nearly 1300 structures damaged or destroyed in the Thomas Fire. Clearly, businesses located on the Wildlife-Urban interface (WUI) are at increasing risks for reasons including drought, dead and dying trees, and increasing temperatures. Wildfire has the most direct impact on your surrounding environment: the landscape and structures. In order to be fully prepared for the damage wildfire can wreak across your property, we have created a “Prepare Your Property for Wildfire” table of various actions that both landowners and tenants can implement. Please refer to our guide when considering structural preparations for wildfire. Create a Wildfire Action Plan. It is vital to have a crisis management plan in place in order to protect you, your employees, your customers and your business facilities as well as your company’s reputation. Liberty Mutual’s Wildfire Action Plan is a great starting resource for businesses at-risk of wildfire’s immediate and long-term effects. Train key employees and their support staff on how to use extinguishers correctly. When fire danger is high especially during the summer and early fall, prepare yourself and remind your employees of emergency evacuation responses. Sign up for local wildfire text alerts and warnings available for your community (see resource appendix). Test Emergency Communication Plans – as network disruptions can be common in a disaster, establish a plan to properly communicate with family and co-workers. Effective recovery requires evaluating the most critical components of your business; this analysis will enable prioritization of recovery tasks. For more information and guidance on post-disaster recovery, visit the Business Resilience Toolkit. In cases of wide-scale need, a local Emergency Manager or other government representatives will coordinate with government agencies, public safety officials, nonprofit organizations, and elected officials to secure public facilities (such as emergency shelters), identify government assistance for special needs populations, and obtain emergency food and water supplies. In California, county offices work with the State of California Office of Emergency Services and the Federal Emergency Management Agency (FEMA). See our listing of Other Resources for additional resources for disaster preparation and support, and for specific contact organizations in Nevada and Tuolumne counties. Defensible Space: Living with Fire. Defensible Space: Why 100 Feet Brochure. Roofing: Class A Roofing Material. Decks, Patios and Porches: 8110 – Decking for WUI. 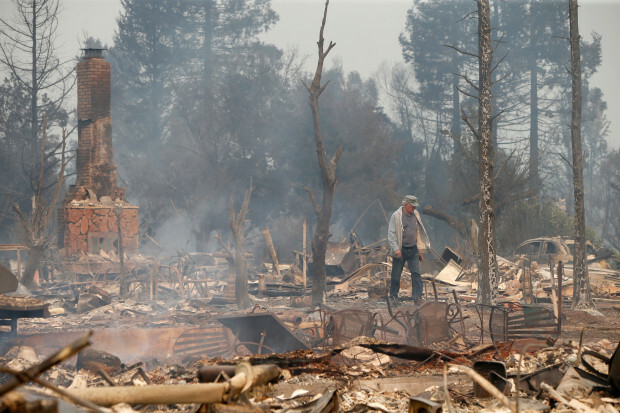 Chimneys, Burn Barrels and Open Debris Burning: CALFIRE Safe Debris.